I’ve been sitting on this post for a year, waiting for an opportunity to post it. Guess what? We’re finally going to get some snow this weekend! We got a little bit of a dusting last weekend and Jake was so, so excited about it that I’m really hoping this weekend’s storm pans out so we can get in some good outside play time. 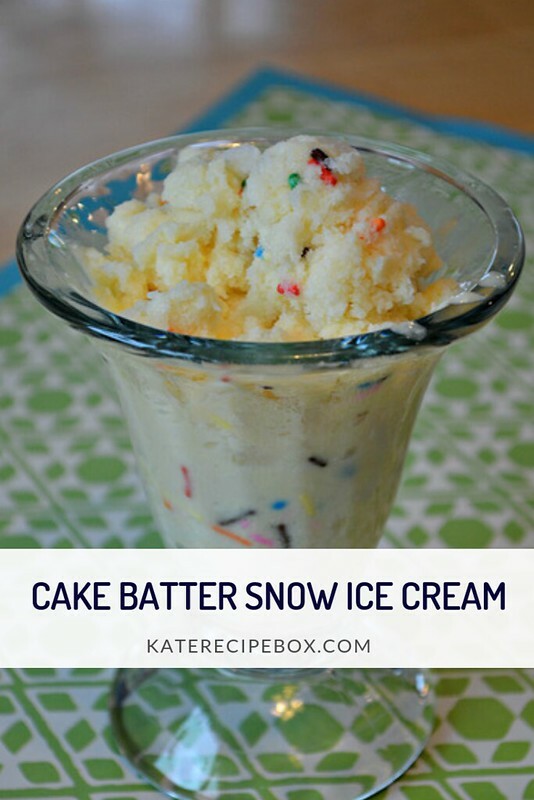 Cake batter is one of my favorite ice creams so I was excited to try a snow version. 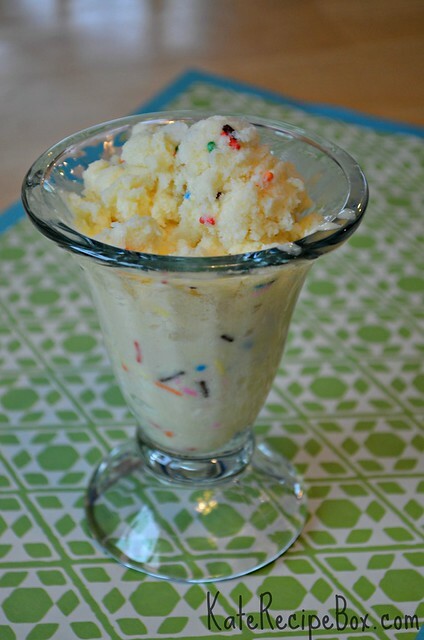 This worked out well – I’m pretty sure it’s going to be our go-to snow ice cream recipe! In a large bowl, whisk together the cake mix and milk until well combined. Stir in snow until you get an ice cream-like consistency. Fold in sprinkles. Serve immediately.